Börte (simply Borte, also Börte Üjin; Cyrillic: Бөртэ үжин; c. 1161–1230) was the first wife of Temüjin, who became Genghis Khan, the founder of the Mongol Empire….she was betrothed to Genghis at a young age, married at 17, and then kidnapped by a rival tribe. The decision by her husband to rescue her may have been one of the key decisions that started him on his path to conquer the world. The marriage was arranged by her father and Yesükhei, Genghis’ father, when she was 10 and he was 9 years old. Temüjin then stayed with her family until he was called back to help his mother and younger siblings, due to the poisoning of Yesükhei by an enemy. In 1178, Temüjin traveled to find Börte. With the permission of Dei-Sechen, he took Börte and her mother to live in his family’s Yurt, which was camped along the Senggür river. Börte’s dowry was a fine black sable jacket. Soon after she married Temüjin, the Three Merkits attacked the family camp at dawn. Temüjin and the men escaped on horses, but left the women behind because they did not have enough horses for all of the family members to get away. Börte was taken captive by the Merkits. The raid was in retaliation for the abduction of Hoelun, Temüjin’s mother, by his father Yesügei many years earlier. Several months later, Temüjin, with his allies Wang Khan and Jamukha, rescued her from her captors. Some scholars describe this event as one of the key crossroads in his life, which moved him along the path towards becoming a conqueror. Don’t laugh, but my twin flame soulmate “Twinklebear” Lesley Maclean and I believe, that in one of our previous lives together as spouses (we are reincarneted)—perhaps our earliest lifetime together—we were Mongolian man and wife in Genghis Khan’s era. In the Soulmate World, there are no coincidences. Twinklebear is one of these highly spiritual people. She not only has dreams which reveal past life memories, but also predictive dreams of events that come true. One obvious example of many she had that were accurately predictive, was a dream about 9/11 happening, well in advance of the event. She has these abilities since early childhood. “It may surprise you to learn that you may have past life memories but are unaware of them….Past life memories often are revealed to you through dreams. This kind of dream is different from a typical dream you may have where there is a beginning, middle and end. It’s commonly believed that past life dreams begin in the middle. In a past life dream, you suddenly find yourself in the middle of a scene as though you’d stepped into a movie after it had been playing for an hour. Events have already occurred, but you’re confused and unsure what is going on. These dreams have no beginning or ending. They feel very real, and you can’t believe it was just a dream when you awake. Probably one of the most profound ways to recall a past life is through lucid dreams. Have you ever had a dream where you were aware that you were dreaming? That’s a lucid dream. For example, you may suddenly dream you’re in the middle of a natural disaster in a place unfamiliar to you, yet in the dream you know where you are, you know where to go and the people in the dream are also familiar. You view your dream as though you’re watching a movie unfold, but you’re an active participant and watch yourself play your role without hesitation. As further background for understanding what I’m conveying in this memoir, you have to be cognizant of two significant dreams that Twinklebear has had. The first dream is one that she’s had since her teenage years. This first dream is one that Twinklebear has experienced multiple times a year, until they stopped abruptly, in late 2015. That’s about 30 years of the exact same dream, which in itself, is remarkable. This dream suddenly stopped after Twinklebear and I met in late 2015. That surely means something. After we met two years ago, Twinklebear realized that the warrior in the dream, was me. The second significant dream she had, was one she had just recently. In this second dream, she and I were also 12th century Mongolian husband and wife. Tragically in this dream, Twinklebear died while giving birth to one of our children. This child would have been the fourth of our children. Our three other kids included two who were teens, so Twinklebear in the dream was an older woman of child-bearing age. This dream ended in agony, with me heartbroken at Twinklebear’s untimely death, screaming into the sky while holding our newborn child in my arms. I am feeling this agony now, as latent memory. This is where I start to get emotional. Beginning around July or August, Twinklebear had irregular periods, and back and abdominal pains. We both believed that these were normal symptoms of perimenopause. Even so, Twinklebear had daily bouts of increasing worry every time she witnessed unusual bleeding. By late September, she seemed to be losing energy at an alarming rate. I can tell you, this frightened me the most. To make a long story a bit shorter, after some fruitless and confusing consulations within England’s socialized medicine system, Twinklebear went for a private consultation, which you can read about in “MEMOIR: I SAVED HER LIFE”. My God, my stomach fell to the floor! I felt gutted, but put on a brave face for Twinklebear. My thought after getting over the shock was…. In Twinklebear’s recent dream I was unable to save her life, to rescue her in effect, before she died while giving birth. Twinklebear and I think that this dream represented a past life memory, of a lifetime when she did die under hard circumstances. And I was helpless, unable to save and rescue her from her fate—at that time. We also believe that this time around, in this lifetime, I was able to rescue her, to save her life when I could not in a past life. I didn’t have the tools or weapons necessary, to save my baby in a past life, because there did not exist in that age, the tools to achieve this. This time I did, by God! Here were my feelings and thoughts then, exactly…..
We were going to crush this enemy, this cancer—and squash it like the proverbial bug! I saw it as an adversary, and decided to plan our counterattack, accordingly! Screw you, ya malignant piece of crap! 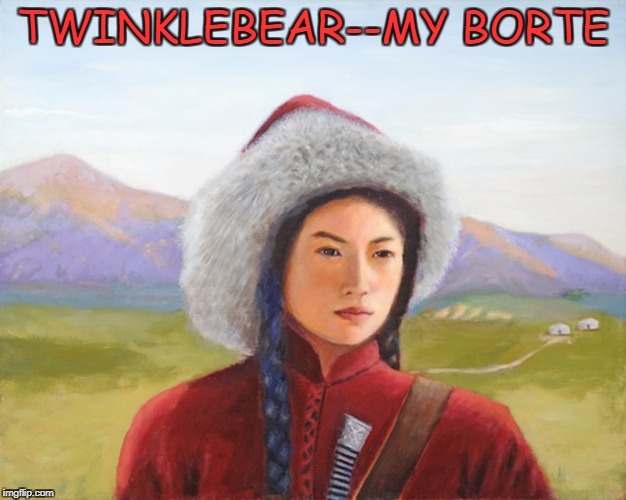 I am convinced that Twinklebear’s recent dream was a past life memory, because I deeply feel the loss of Twinkllebear, as she died in childbirth—now. There is an undercurrent of emotion in me, that relates to different lifetimes, and they bubble up as a latent memory. There was no way I was going to lose her, this time! In 2017, I had the following weapons to defeat the enemy. Improved medical technology and more advanced medical knowledge. These “weapons” were implemented in the minds and hands of doctors and surgeons. But, there was more in my armamentarium, this time. An equally relevant tool I had at my disposal, was the ability to facilitate life-saving surgery for Twinklebear, sooner rather than later–compared to England’s slow moving socialized medicine system–which would have delayed Twinklebear’s life saving surgery by weeks. This is because I was able to facilitate her surgery to be done privately, outside of that balky British system, a system in which health care recipients must wait inordinately long periods for treatment. My ability to bypass the delays of the system, was my secret weapon, to rescue Twinklebear, this time around. Speed kills, but in this case, speed saved! It was a new type of weapon, for a more advanced age, but every bit as effective as Genghis Khan’s deadly sword, when he rescued Borte from her adbductors in the 12th century. In this sense, Twinklebear is “My Borte.” I love you my Borte, and I am so happy that you are okay. Oh my goodness! I’m crying as I write this response. Wow! I’m so emotional . This memoir, depicts, not only how we feel, but how things were , in our past lives together. Wow! This recollection of events, is almost true to the point. I love you my sookybear, always and a day! Podpact Twinflames 🐻 pact forever.121212 …. It is so sad though , that the end result , seems to be the same for you and I, departure! Why? I’m trying to see how , and why, that might be? I am struggling, to think beyond the box. This memoir is truly pulling at my heartstrings, as its so apt and so amazing! I love you so much. Thank you for writing this . My love. No words, only emotion. Totally amazing! You are welcome, my love, AC Twinklebear Lesley Maclean. I was as emotional, writing it–as you were reading it. I love you Forever and a day. You are totally amazing. All I have to say is, taking a page out of the “Twinklebear Playbook” is…..YOU! WINE! TONIGHT!……Ha! Awww….I love you. 12 12 12 Twin flames, podmates, Bear Pact Forever!